Two awesome arenas filled with tons of fun!! Come check out our newest attraction. The Imagination Blocks. 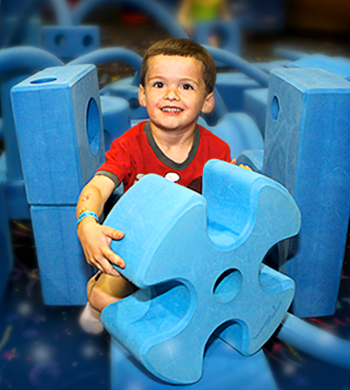 Kid's and adults use their imagination to create fun structures with the giant blue foam blocks and then break it down and build another one!!! Fun for all ages! 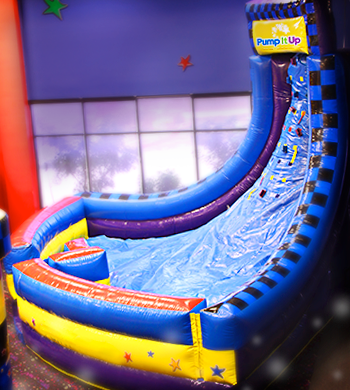 Try out your Xtreme Ninja skills in our newest obstacle course!! 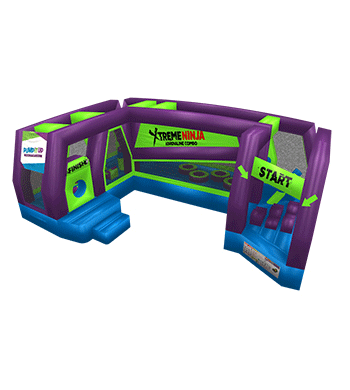 Our 3 lane slide is perfect for sliding safely with your friends!! 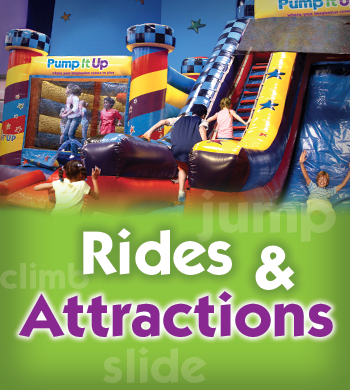 Shoot some hoops, play some hopscotch or just have fun climbing & sliding. A little fun for everyone! Run and try to stick your flags as high as you can reach before you slide right back down. 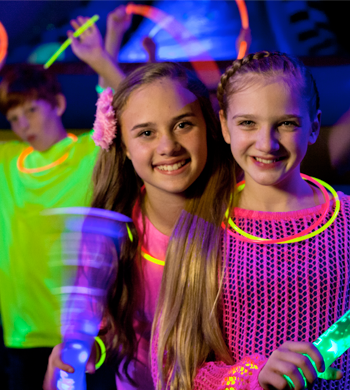 Add the Glow Party to any of our party packages anytime during the day or night. 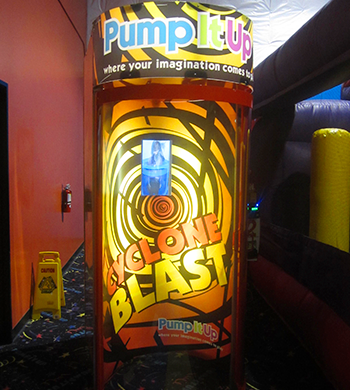 In Arena B the kid's jump under black lights, laser lights and special effect disco lights. Each child is given a green glow necklace and the Birthday Child receives a special glow "surprise." 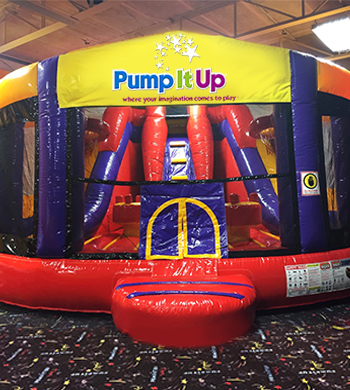 It is a great add on for all ages to any of our party packages!! 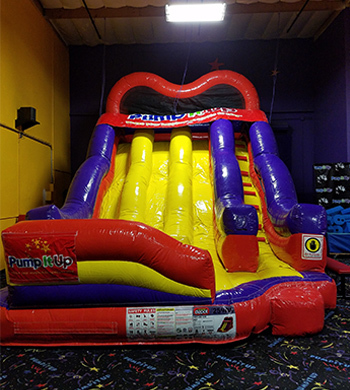 Don't want to bounce? Play air hockey!! 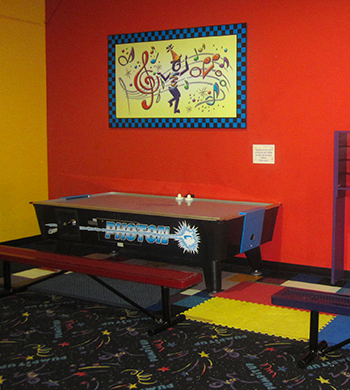 We have an air hockey table in each area!! 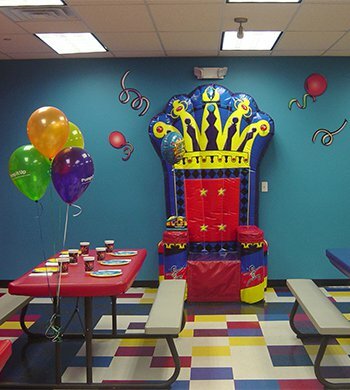 Each Party Room has a awesome inflatable Birthday Throne reserved especially for the Birthday Child!! He or She can feel like a King or Queen for a day!